Here at Pasco Medical Training, we offer students a wide variety of courses that combine the detailed classroom instruction and hands-on experience that is necessary to begin a successful medical career. 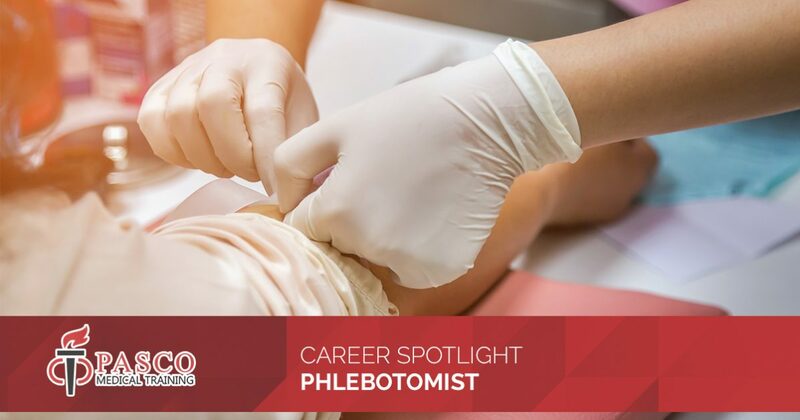 Every now and then, we like to highlight one of the possible career paths that we can help you prepare for, and today, we will take a closer look at phlebotomy. We’ll review the customary skills and duties of a phlebotomist, as well as their average earnings and the required training to become one. If you are interested in becoming a phlebotomist, read on to learn more and then contact us to learn more about our phlebotomy courses. Is a Phlebotomy Tech Career Right for You? Phlebotomy techs are expected to work with a large number of patients each day. Some may be young, others may be elderly, and they will all vary in health status. Therefore, excellent phlebotomists are empathetic and flexible. The median income for phlebotomists in 2017 was $33,670. Similar to other career paths in the medical field, the job outlook for phlebotomists is very promising. In fact, the field is expected to grow 25 percent before 2026. That means there has never been a better time to get the training you need to pursue this booming career path. 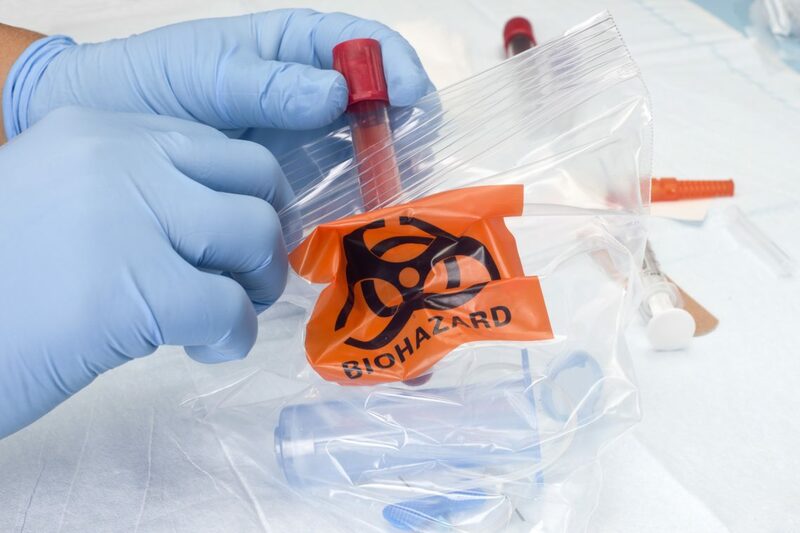 The phlebotomy courses must provide 40 hours of classroom instruction, 40 hours of clinical training, and completion of 50 venipunctures and 10 skin punctures under supervision. Additionally, you must complete six hours of continuing education credits and pay a renewal fee to maintain your certification. Although the state of Florida does not require you to be nationally certified, this will only boost your chances of getting a job in this competitive field. Enroll In Pasco Phlebotomy Courses Today! If you have decided that becoming a phlebotomy tech sounds like the ideal career path for you, then contact Pasco Medical Training today. We are happy to speak with you about the phlebotomist test prep courses that we offer and how they prepare you for an exciting, successful career in the medical field. Our facility is a licensed education center and our curriculum is approved by several professional associations and vendors. What’s more, thanks to our convenient on-site testing, you don’t have to worry about traveling to unfamiliar off-site testing facilities. Are you ready to take the first step toward becoming a phlebotomist? Enroll in phlebotomy courses online today!